These da ys content marketing is a big thing and for a good reason, because it works. But, you may have tried it and failed or you has some success at it. Either way, when done right it can help build links and brand your company. But there’s also a problem, there’s a lot of junk content out there being passed around. Some people just create infographics just to create them with their first thought being more traffic or more money. Many times people are not successful with this type of marketing because money is their only thought. But, if you take the approach to helping others, suddenly your content marketing strategy takes on a whole new meaning. This is the case with social media also. How many times do you see someone only promoting some affiliate offers in their social feed? When you see this, you get pretty tired of it and pretty much turn off the person doing the constant promotions. So, the same problems can happen with content promotion when people are only just motivated by one thing. Sure, profit is not a dirty word by any means but if you can think of creative ways to give people what they seek, you will be that much more ahead of the game. Often times when people first get into content marketing and try to get links, the create mediocre content if the form of a infographic, pdf or some other form. Usually it’s shallow and lacks substance. But, if you take a good look around you and your customers, I’m sure there is something you can come up with that’s much better than the average. 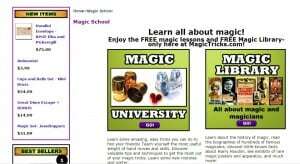 Take for instance magictricks.com, at first glance it seems like a normal E Commerce site selling magic products. But, if you take a closer look you can see resources to magic. 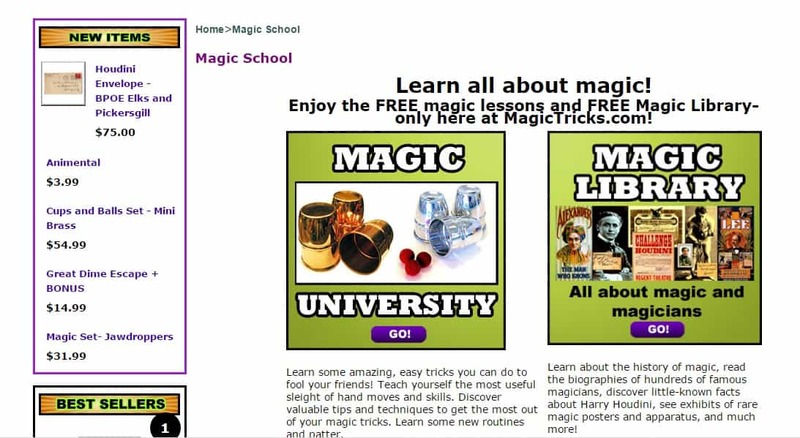 This site has many different resources including, learning magic tricks and even a resource about magicians. Now, what if you had a website dealing with magic? Would you link to this website if you had a magic shop in some city somewhere? You bet you would, because you want to show your customers how they can use the products. Creating resources like this is easy in just about any industry. Sure, it may take a little thinking and some planning but what do you think you could come up with? Just think about what your customers wants and needs are and bam, instance resources. Ok, so you get it. Your need to really put some thought into this whole link bait thing but you are unsure where to start. So, here are some ideas. Create some kind of survey to ask your customers why they buy from you. If you are searching for content ideas, ask them questions about your products and services. Maybe even asking how you could improve them. If you have a in house email list, this will be easy. Just prepare and let it rip. But if you don’t have a list yet, start one asap. 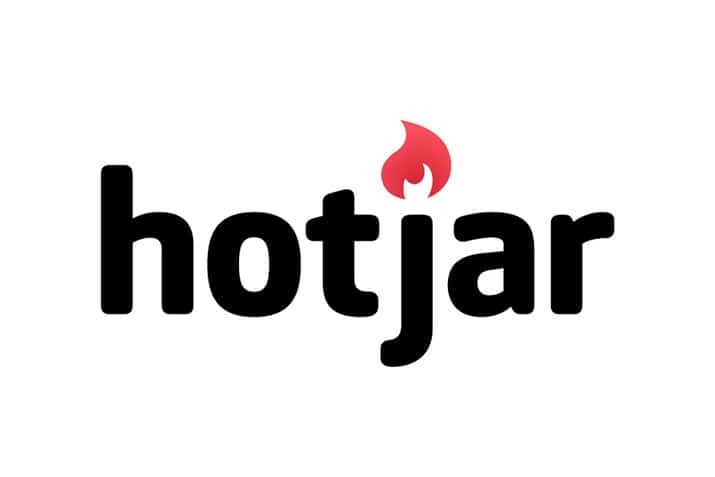 Other ways you can survey are using Hotjar. Hotjar allows you to insert a box in the bottom of your website asking customers and prospects questions. Hotjar also offers much more than just surveys. They also offer heat maps, funnel setup, visitor recording and more. They have a free account also at the time of this writing, so be sure to take advantage of it. If you have a company Facebook or Twitter account, you can use these to search back over your analytics in each, and get a good idea of which of your posts was shared the most. But, always try to find out why also. Many times, if you shared a cute pic of a dog and it went viral, this will do you no good in understanding what your prospects want. And besides, everyone likes cute puppies. Is there a forum in your industry you can search on? if so, take a look at what people are talking about and try and see if you find the same questions coming up over and over again. Are you an e commerce shop? Do you own a brick and mortar store? Here’s an example for you. Let’s say you own a store that sells drums and nothing but drums. Why not go more in depth about each product you sell or in general about the level of products. So, for drum stick you could explain on a resource on your website about the different sizes of drum sticks and the different sounds they produce. You could even explain, who used these different types of sticks and more. You could also break down the different types of wood used in the various types of drum kits, what sounds they produce, who uses them and what level of product it is. Of course, it very important you explain about these things in the way you would explain to a friend who really wanted to learn from you. Use your own voice and start to create your articles. You are the teacher and this is your stage. No one wants to read the same content from some manufacturer. Think about it, did you eventually find someones website who explained something in a way you finally got it? Yeah, now that’s content at it’s finest. So, what about if you only sell services? Well, pretty much the same thing applies. But, you say I am a landscaper what could I possibly add to my website? Ok, let’s think about this for a minute. Let’s say you install landscaping. Ok, well you could add a resource for customer about how to take care of their newly landscaped yard after you are done. Or you could offer general tips in whatever kind of landscaping you do and add it as a whole resources section on your site. Or if you are a plumber, you could add a section explain to customers about what they need to look out for in their homes yearly and how to easily take care of those things. Or, maybe you know a ton about the history of plumbing. If you do, and you can write about it, why not write a whole resource about plumbing history on your site in your own words. Have you ever notices beer commercial how you see a slow pouring beer coming out of a can and into a glass? And, all the while the announcer is explaining the the process of how they make beer and why it will taste so good to you. Well, this works in advertising and it works also in content. Don’t just write from one site. Remember, people are always asking the question, what’s in it for me? So, explain things with this in mind. This will help validate to them why they are there reading your awesome resource. You have to think about what your goals are for your content before you start. Do you want links pointing back to your site? Or do you just want to get the word out about your brand? Well, links are what you seek then, you will have to add this resource to your site in some fashion where it looks all together. Something that’s easy for people to search through and find what they are looking for. 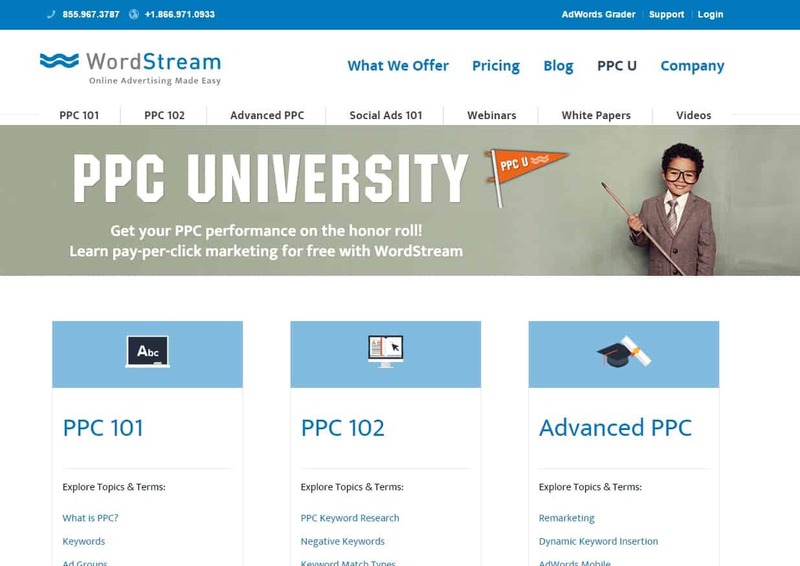 Take for instance WordStream’s PPC university. Here they teach you all about pay per click marketing and on this landing page you can see all the links you need to find what you need. Much of it on this page is a collection of blog posts and pages they created but this serves as the central starting point for anyone wanting to learn about ppc marketing. So, if you are seeking links, you will want this content on your site. But, infographic downloads are not bad also. You could certainly get a page linked like this linked to from Kissmetrics. Or What about their Pdf download page? What Kissmetrics is offering here is things people want to see and how to use their product with it. People defiantly link to this type of content. Some of the content is just straight up on marketing but, it once again helping people. Which is the most important thing you need to be doing. Ok, so you now have idea’s for awesome content to produce and you’ve worked hard to make it. You could have 200 pages of content but, your getting very little traffic to it. Wel, now it’s time to promote your awesome content. Bottom-line, If no one knows about it you won’t benefit from what you created and no one else will either. Well, whether you like it or not, if you are not getting many visitors yet, outreach should be on your list of ways to promote. It’s a dirty job and sometimes hard to do. But without it, you could not get to your fullest potential. Just make sure before you use this method, you have truly built your best content. Just ask your self if, you would be comfortable showing what you created to your friends or family. If you mention a famous blogger in your resource then, by all means reach out to them on twitter or email. But, for the most part, you will be finding websites and contacting them with your resource. You can use tools like BuzzStream or Ninja Outreach to make the process easier. One thing people start doing right away is blasting others with emails about their resource, mostly in the form of spam. Do not just blast your emails out with some program designed to do so. You want to hit up real websites and blogger who will be interested in your resource. So, this means taking your time and doing things right. Also, taking the time to make sure each email is personalize can help. This includes things like mentioning a post of their’s you read or something about their website. It’s also a good idea to test out different email templates with different subject lines. After all the subject line is what gets your email read. But don’t lie about anything in anyway. Always keep things consistent and real. One thing you can try is sending a quick email stating you read a post on their site and you have a resource you would like them to see. And then, ask them if you can send the link over. You may find this works great because you are being polite and courteous of their time. Always, whatever you do in online marketing needs to be tested. And with email outreach, it’s no exception. At first you could pick out sites you would call your backup list and test out your emails with them. Then, when you get a few replies, take the best template and test it out on the blogs and sites you really want a link from. And, don’t give up if you are not getting any replies. Conversion rates for this type of marketing are usually low, so you must test. This really only works, if you’ve built up your social profiles with real followers. And I mean people who actually care about what you say. So, if you have a few thousand followers on twitter and Facebook, go ahead and get the word out over social media. You could also buy Facebook ads and test these out also. Some bloggers now say Facebook is excellent for promotion of this type, while others say it’s not. The key again, you guessed it, test. But, if you really truly do have an awesome resource paid promotion might just be the way to go. You could also use Google Adwords to send people to your resource. First figure out your budget and then buy your ads. And, if you truly do have good content, you will get others linking to it. If you find after some promotion things didn’t work out how you liked, then it’s time to hit back to the drawing board and see if you can beef up your content or something else. If using paid promotion make sure it’s easy for others to link to your resource. You could use a widget if you have a WordPress blog with easy html to share your content. Now, much of the time share with a friend scripts do not work. But find someway to make it easy for people to link to your content before your start your paid ads and see what happens. Sometimes, just flat out asking people to link to your resource works and works well. You could try paid ads also on Reddit and StumbleUpon. If you do already have an email list built up, you could as them to link to your resource and send them emails about it. Just be careful how you do things about asking people to link to you. If you are blatantly asking people to link to you with some trick, this is against Googles terms of service. Just as Rap Genius. Building your site into an ultimate resource is great on many levels. It allows you to be an authority in your subject and can get your site many natural links. But, you have to make sure it’s useful to others and it’s something they care about. Take your time to develop these ideas, and do research on what your audience wants to see and can use. Also, it’s not a bad idea to have more than one resource on your site also.